Directorate General Of Health Services published new job vacancy notice at ejobscircular.com . WWW DGHS GOV BD Job New Notice found in april 2017. Bangladesh Health Minister Noticed some Nurses Job Circular in April 2017. For More information about this Govt Jobs circular Please read below this Original circular. 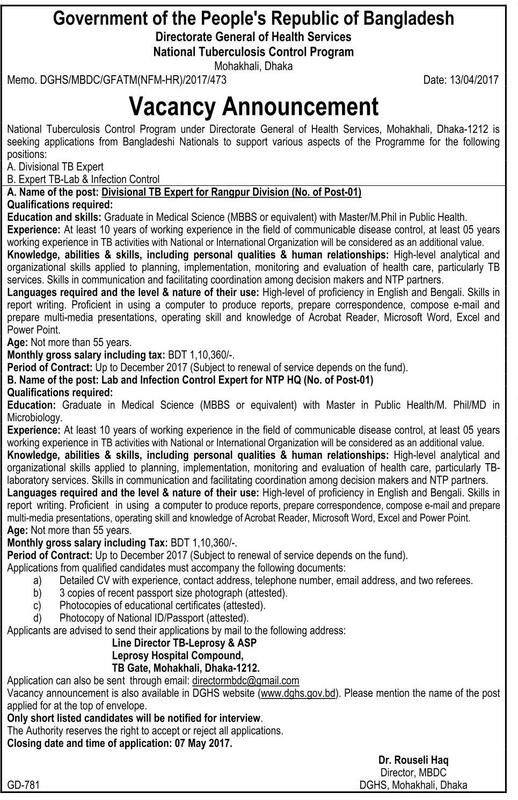 Hope you Read carefully about 10 thousand Nurses job Circular Employment Notice at www.ejobscircular.com . You can also get all upcoming Job circular in this Website. This entry was posted in BD Govt Jobs 2019, Employment News, Prothom alo jobs and tagged Govt. jobs by ejobscircular. Bookmark the permalink.